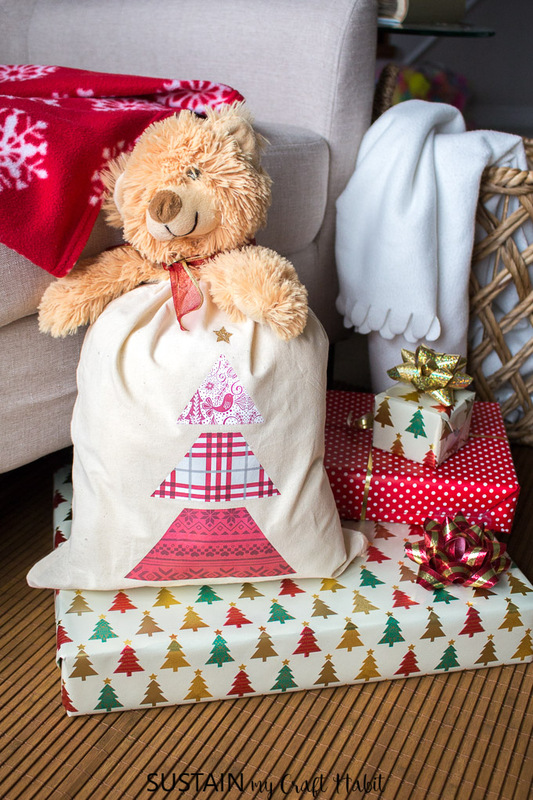 We’ve created this beautiful, reusable Christmas gift bag and can’t wait to show you just how simple and easy it is to turn a blank canvas into art using a Cricut EasyPress 2 and some iron-on vinyl. 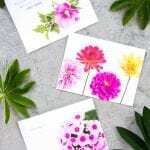 Even though this was our very first time using the Cricut EasyPress 2, we quickly realized how it can open up a world of creative possibilities. 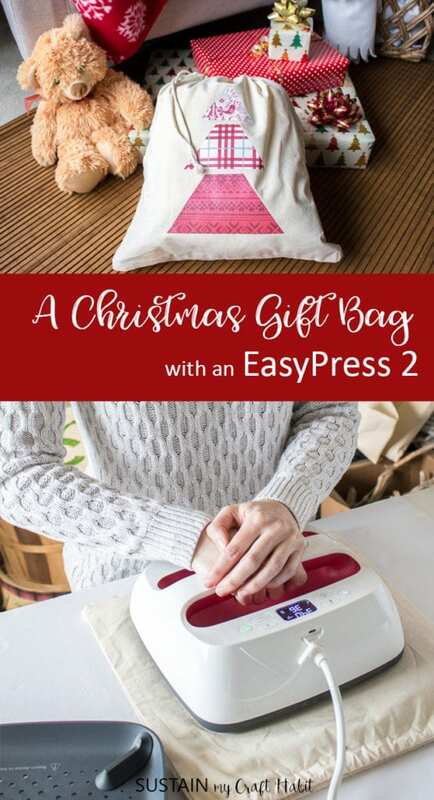 Whether you want to add a fun design to child’s onesie or add a business logo to your t-shirt or even add some hand lettering to your throw pillows; the EasyPress 2 can do it and a whole lot more. Similar to our first time using the Cricut Maker, the how-to instructions couldn’t get any more straight forward. 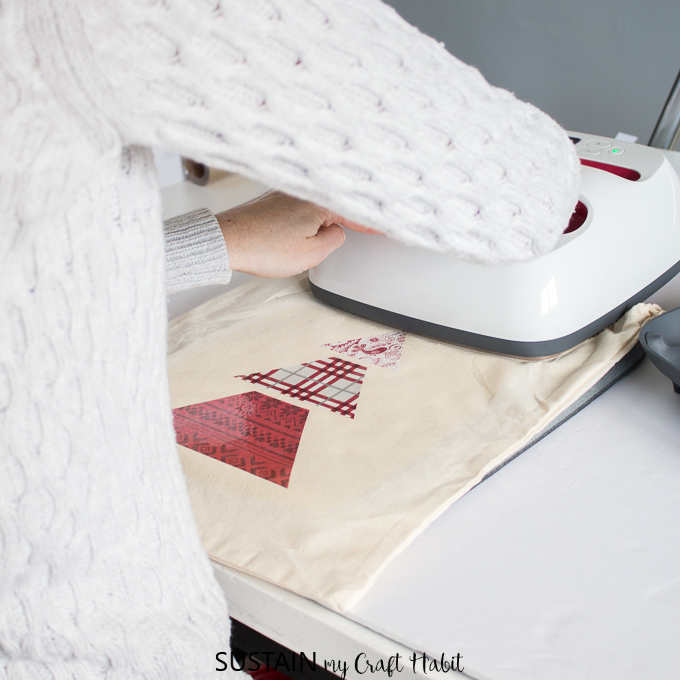 The EasyPress 2 machine comes with a starter project (this blank canvas tote bag) and some pre-cut iron-on vinyl (not shown here). 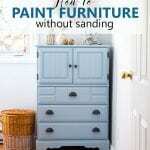 Follow the step-by-step tutorial and within no time, our first project was done. 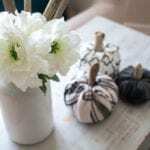 Cricut is currently in Michaels in Canada, and is coming soon to WalMart and Costco. 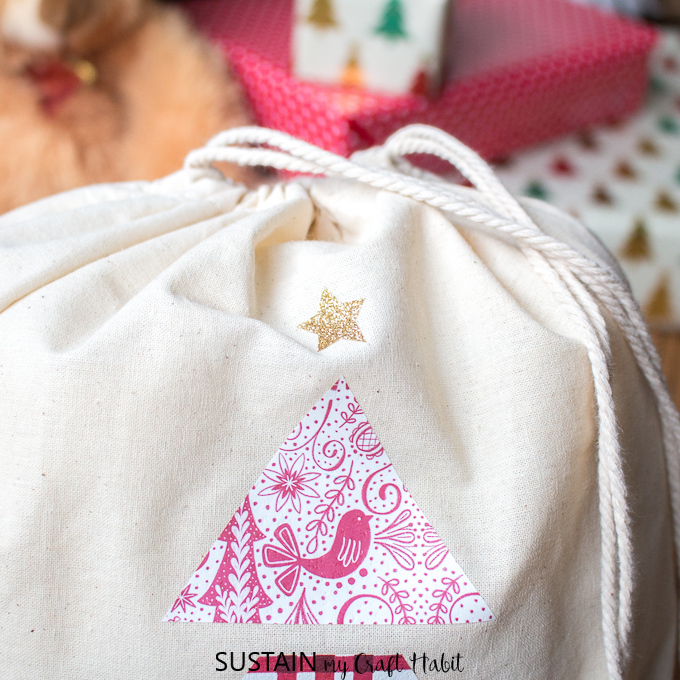 We used the beautiful Nordic Sampler iron-on vinyl pack for this project. 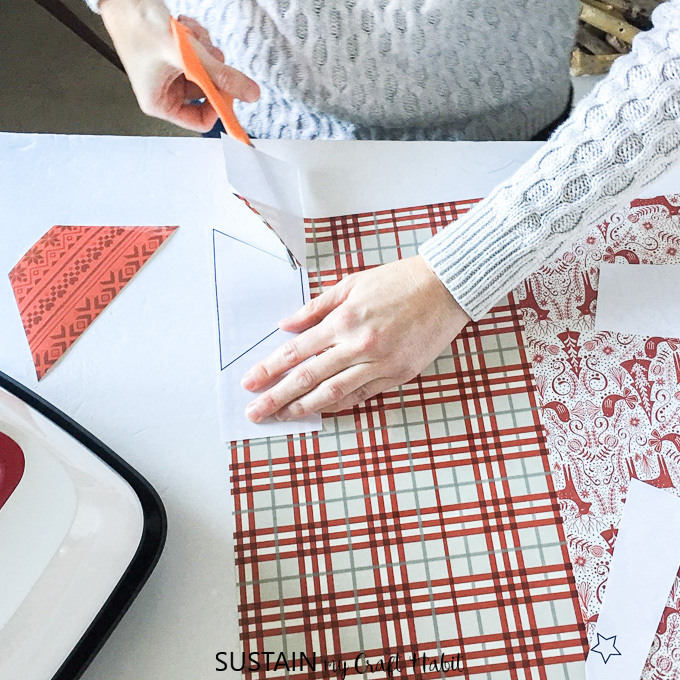 Can you believe I was able to find matching geometric Christmas tree wrapping paper to coordinate?! By the way, remember to save your scrap pieces of wrapping paper for making resin jewelry with gift wrap. 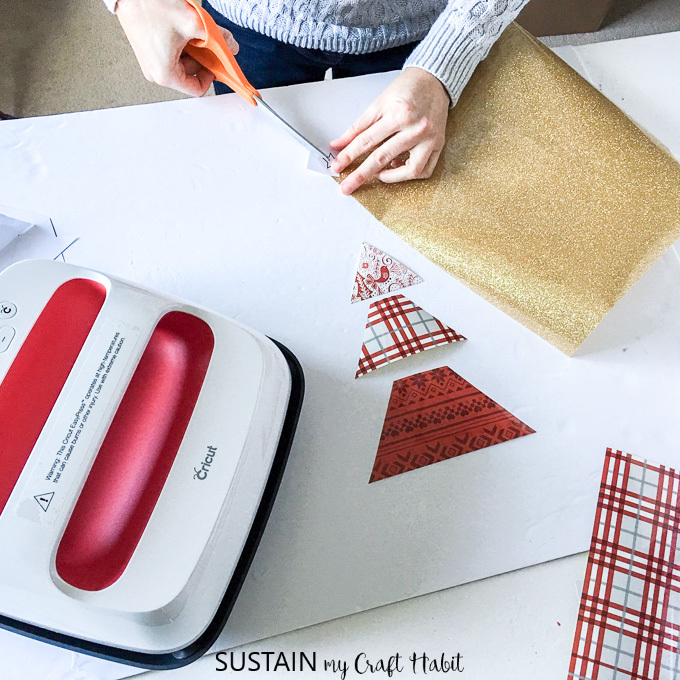 Although we also have a Cricut Maker that would cut out this Christmas Tree design (and any other) in a breeze, we opted to hand cut our first design to show how versatile this EasyPress 2 really is. 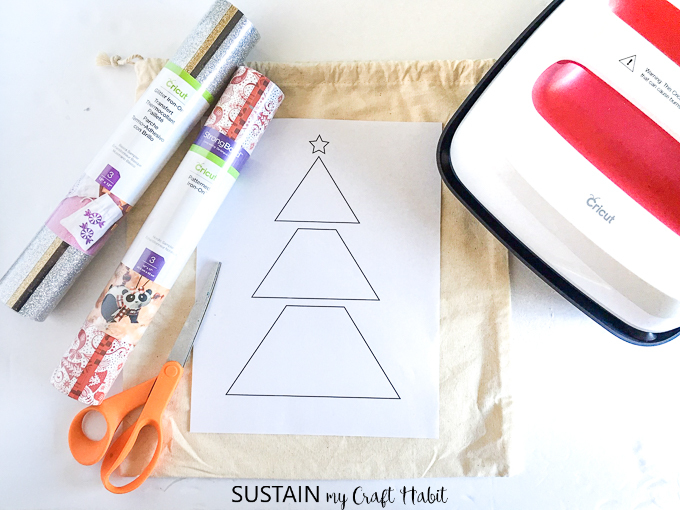 Simple Geometric Christmas Tree template (if cutting out by hand, use this PDF file; however, if using a Cricut, you can use this SVG file instead). Print out Simple Geometric Christmas Tree template on 8.5” x 11” sheet of paper. Cut the individual shapes into separate sheets. 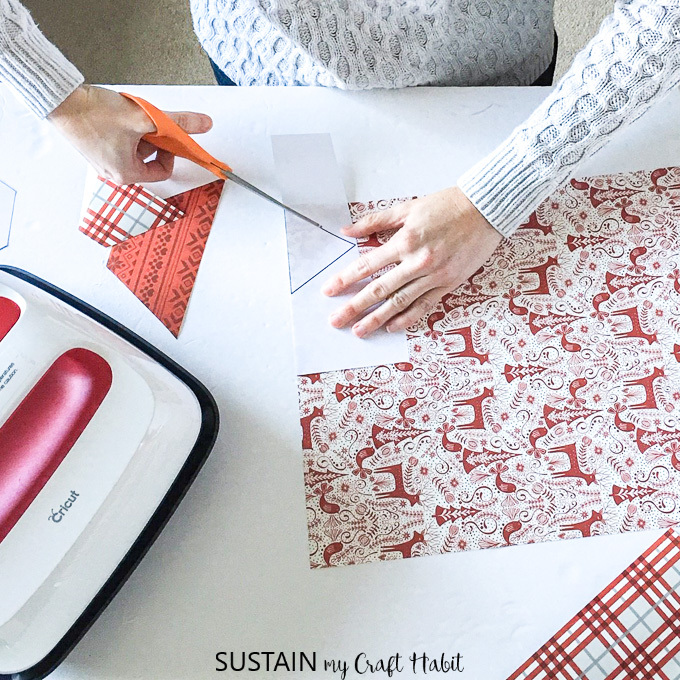 Place one pattern piece on top of your patterned vinyl aligning the straight edges and cut out with scissors. Repeat with the remaining pattern pieces. Next, cut out the smaller star in glitter gold iron-on vinyl. Put all the pieces aside. Position the mat, or alternatively you can use a towel, on a flat surface. 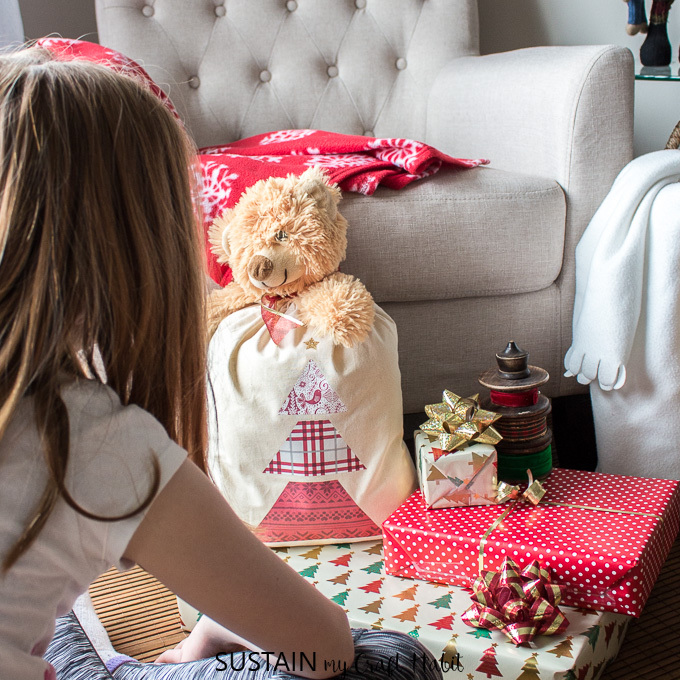 Lay the canvas drawstring bag on top of the mat right side facing up. Turn on the EasyPress 2. 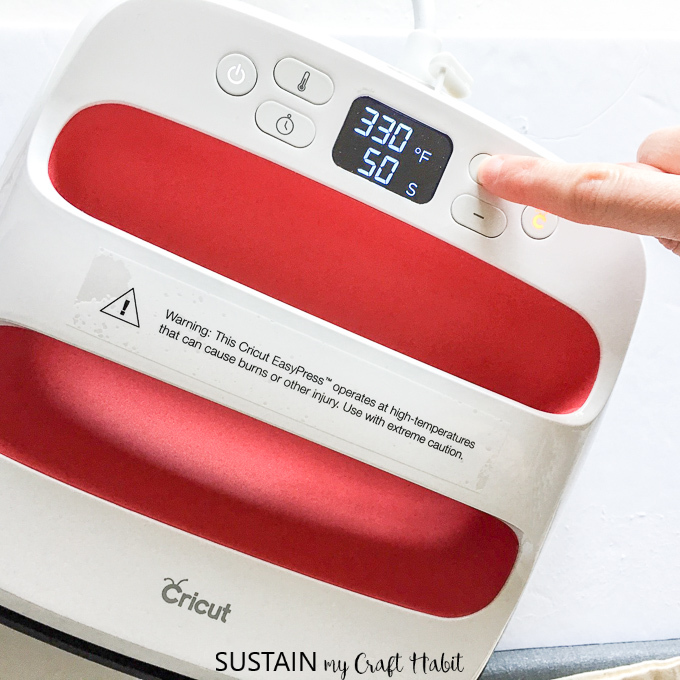 Set the temperature and time on the machine following the instructions listed from the EasyPress Interactive Quick Reference Guide. We recommend always testing a scrap piece of material and vinyl beforehand. The patterned vinyl and glitter vinyl will require different temperature and times so the pressing will be done in two steps. Preheat the surface for 5 seconds. Position the tree pieces on to the bag and apply heat as instructed. Flip the material and apply heat to the back side as instructed. 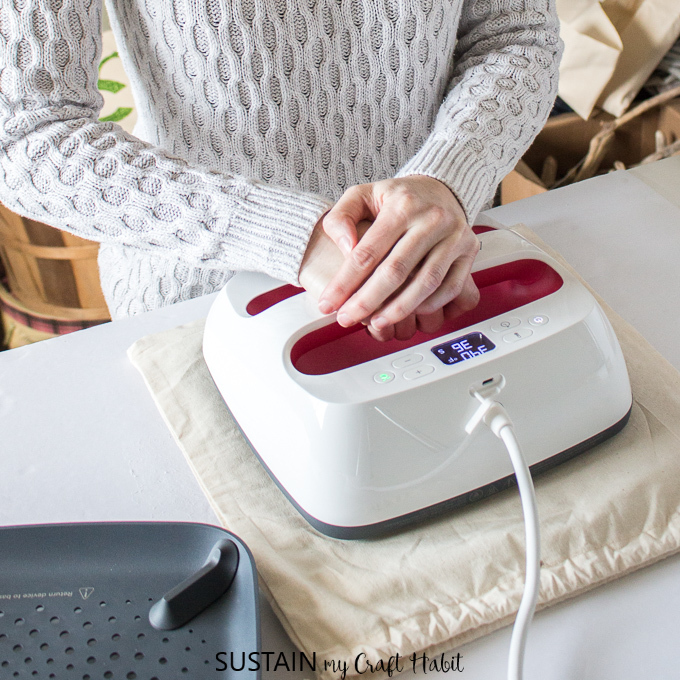 Turn and peel off the plastic cover while still warm. And lastly, position the glitter star to the top of the tree and apply heat as instructed just to the star (avoid pressing the rest of the tree again). Peel off the plastic cover while warm. It’s important to always follow the recommended instructions for temperature, pressure and time, otherwise, the vinyl will peel off over time and washing or alternatively, the surface of the material could overheat and discolor. As soon as my daughter saw the finished drawstring bag she asked to have her own personalized bag to carry all her running gear. 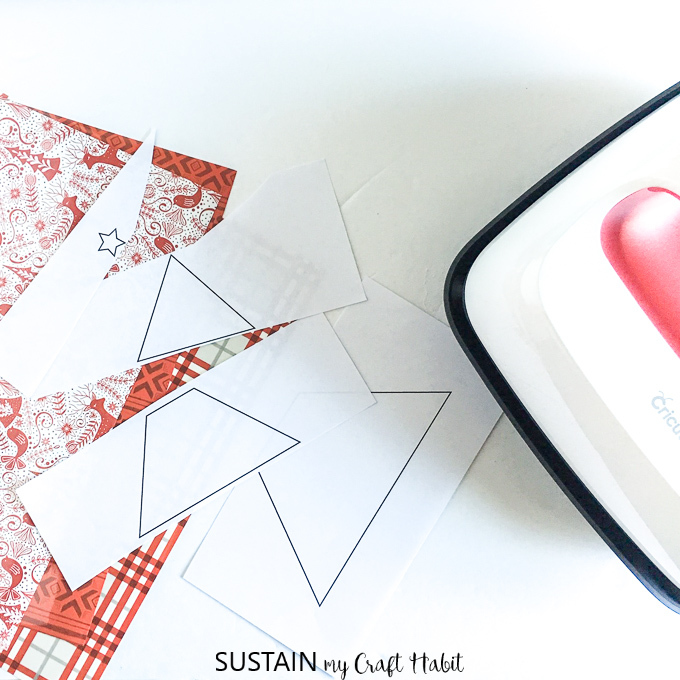 Well, that’s no problem with the Cricut EasyPress2 and the Cricut Maker for cutting a vinyl monogram letter! 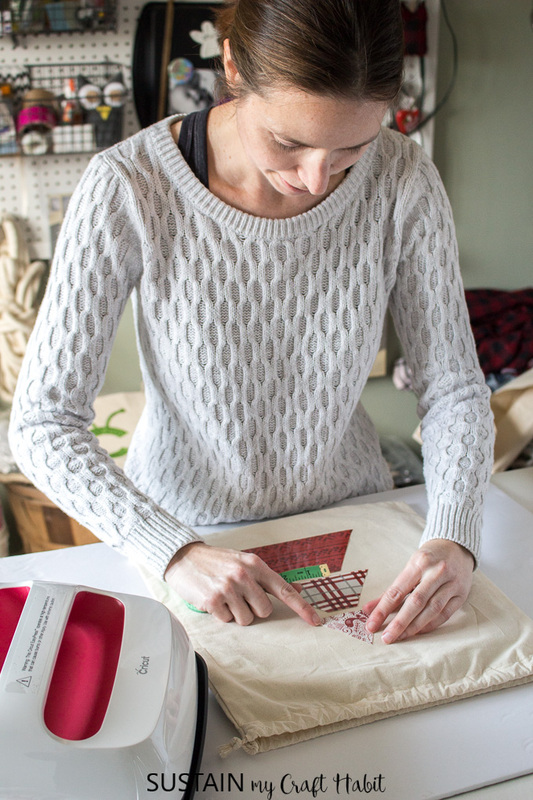 I’ll be sharing the tutorial for sewing your own canvas drawstring bag very soon. Thank you so much Joann! We’re now on the look out for other items around the home to “embellish” :D. Merry Christmas!